This movie I must say was done very well. It was neat to see how Facebook came to be. If you get a chance you should see it. It also expressed a good point that Facebook is making everyone too connected and that people seem to online all the time. Most people who read this post will be reading it because I set it up to link through facebook and post in my notes. 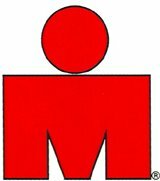 Most people do not know that this blog (www.doyoutri.net) was setup long before facebook became as big as it has become. Facebook has allowed my blog to grow but it also has taken away since people do not go to blog directly rather they just read it on facebook. Also the part of my blog was to keep people updated on what was going on in my racing and training so going forward I am going to begin using my blog more for updates and less on facebook. I feel that being too connected can have its downsides and as a result I want people to follow my blog rather then just reading it on facebook. So as for an update on my injury. I hope to be out of this cast later this week and into a boot where I hope I can walk without crutches in a couple weeks. I cannot wait to drive again also. I am glad this winter has been so cold because I know that I would not be loving it. Good luck with the recovery. Thanks for the movie review... I am a recovering Facebook devotee and don't use my account any more but I think I'll check out the movie.